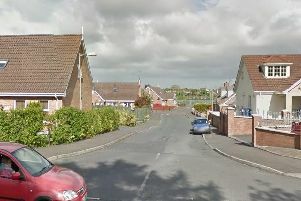 A vehicle was damaged in what police described as ‘an attempted arson’ in Lurgan last night. The NI Fire and Rescue Service was tasked to the scene at Belvedere Manor late on Monday night. The NIFRS put out the fire and damage was caused to the exterior of the vehicle only. Police also responded to reports of the attempted arson and have appealed for information. Sinn Fein MLA John O’Dowd condemned the attack: “Fortunately, on this occasion, no-one was hurt however thoughtless and reckless actions such as this could have led to much more grave consequences. “Residents of Belvedere are in shock this morning. Sinn Fein Cllr Liam Mackle said he totally condemned ‘this reckless action, which could have ended in tragedy’. “I would call on anyone with information to give it to the police.